This is to inform you that the registered office of our organization which was at No. 580, Negambo Road, Mabole, Wattala has been shifted to following address with effect from 01' March 2019. 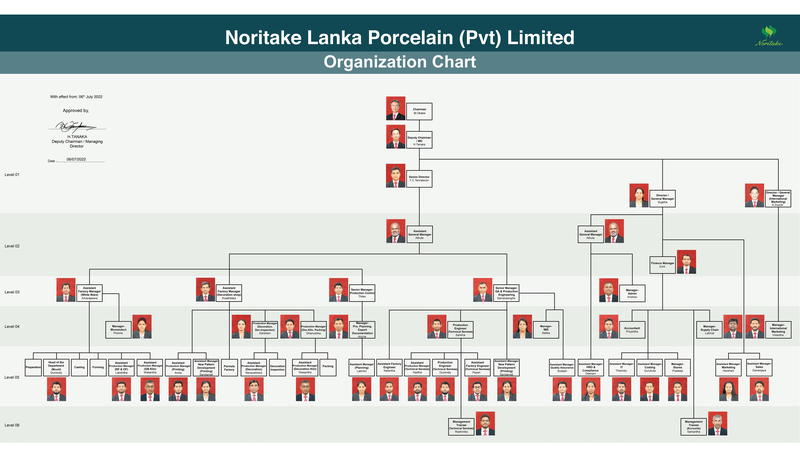 "NORITAKE LANKA PORCELAIN (PVT) LTD NO 77, DHARMAPALA MAWATHA COLOMBO - 07, SRI LANKA 00700 "
Behind the secret of perfection in a product unfolds the legacy of an exceptional history. The establishment of a factory in Nippon Toke, Nagoya, Japan in 1904 was the birth of a giant in the global ceramic industry. Foundedby Baron Ichizaemon Morimura and his colleagues, it is known today as Noritake. Towards the end of the nineteenth century, the Americans too wanted the luxury of the type of art enjoyed by the European elite.